Organize your office desk with some of the best monitor arms for 2 monitors. 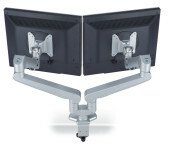 Our desktop monitor stands are easy to install & adjust and give you better ergonomic and flexibility. 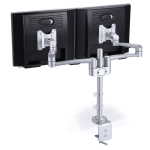 We have a number of solutions for you, if your workstation requires mounting of 2 monitors.